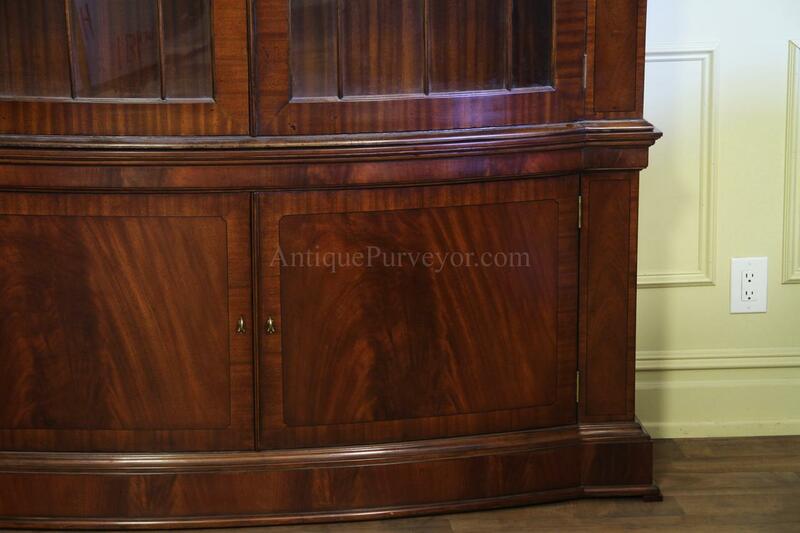 Description: Mahogany bowfront china. 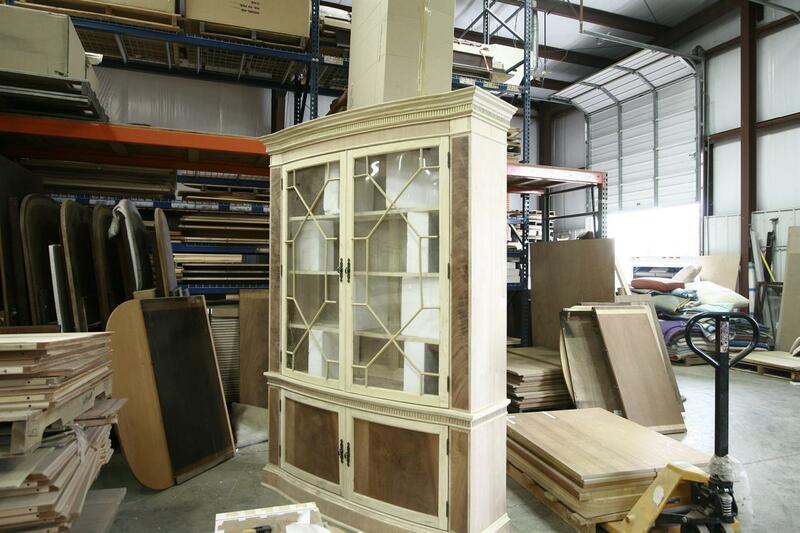 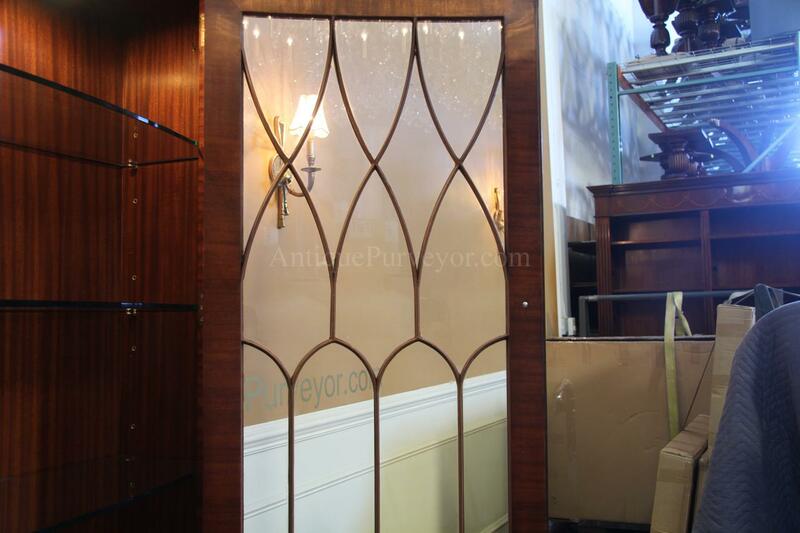 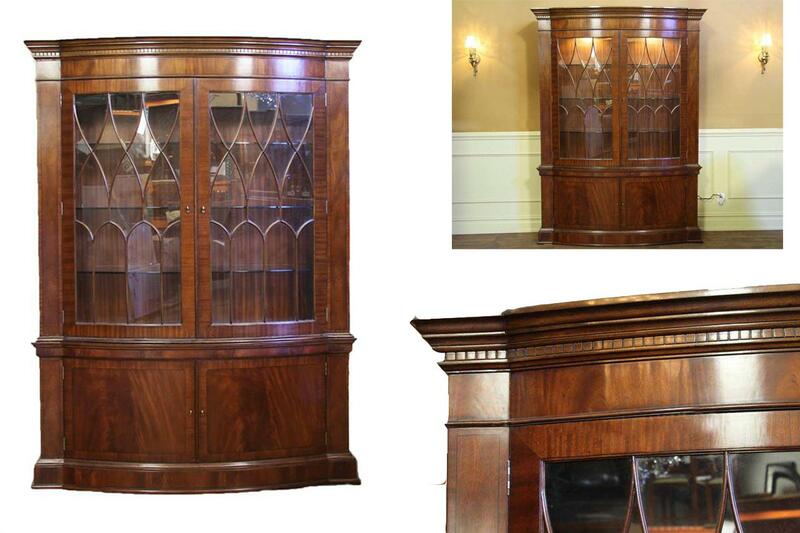 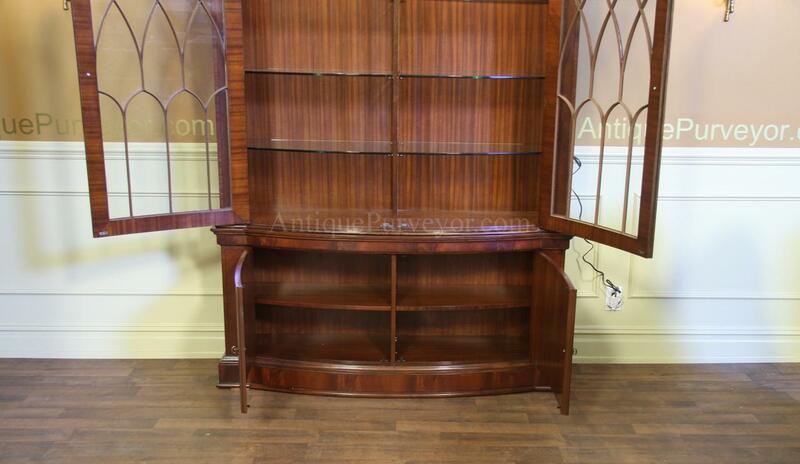 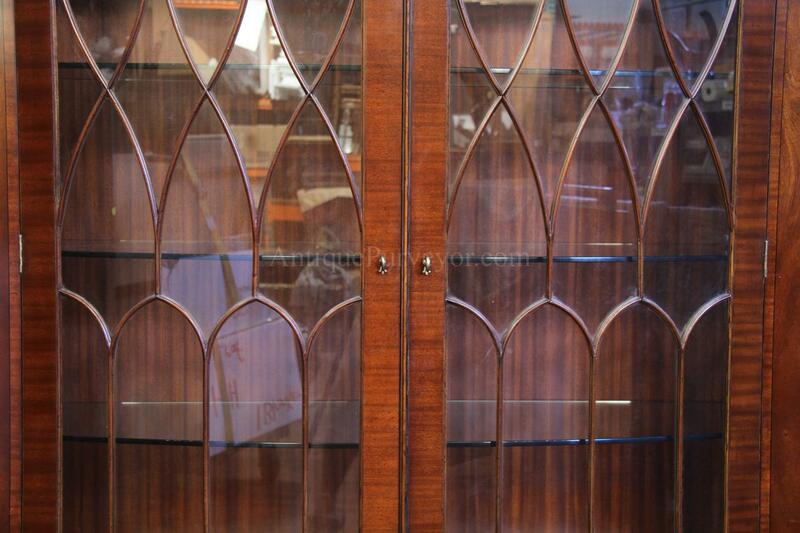 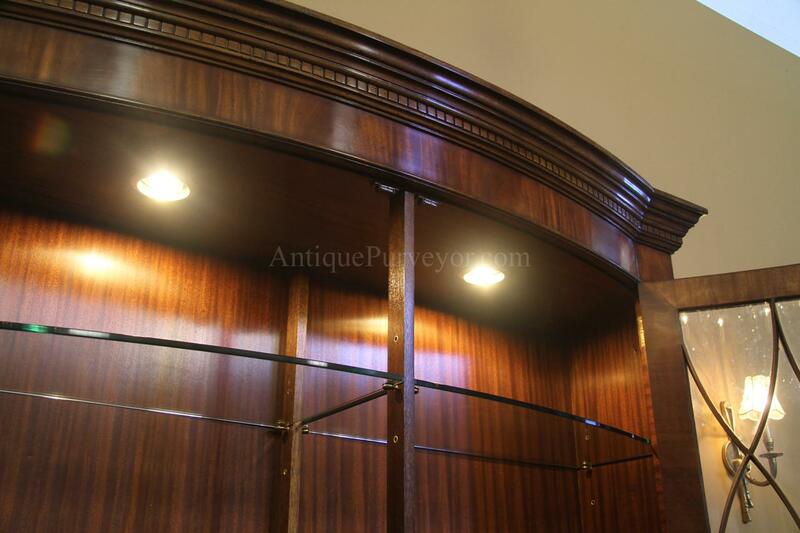 Quality higher end mahogany china cabinet with flame mahogany door panels and individualy paneled windows. 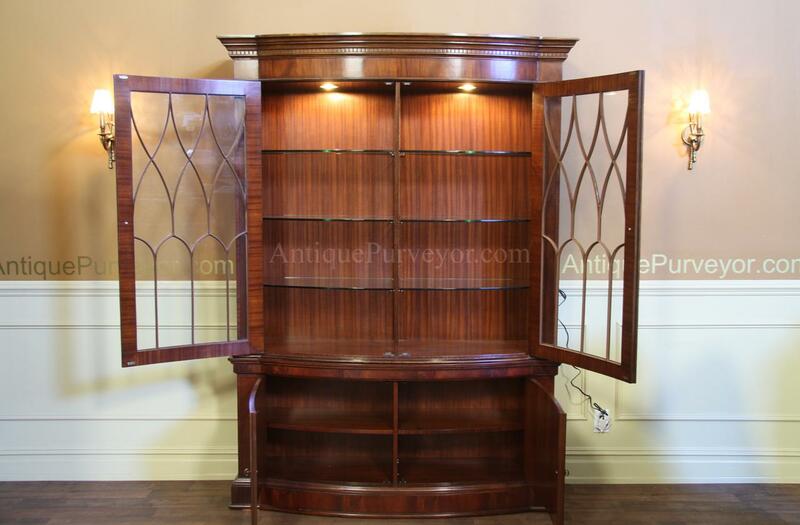 Solid and heavy china cabinet. 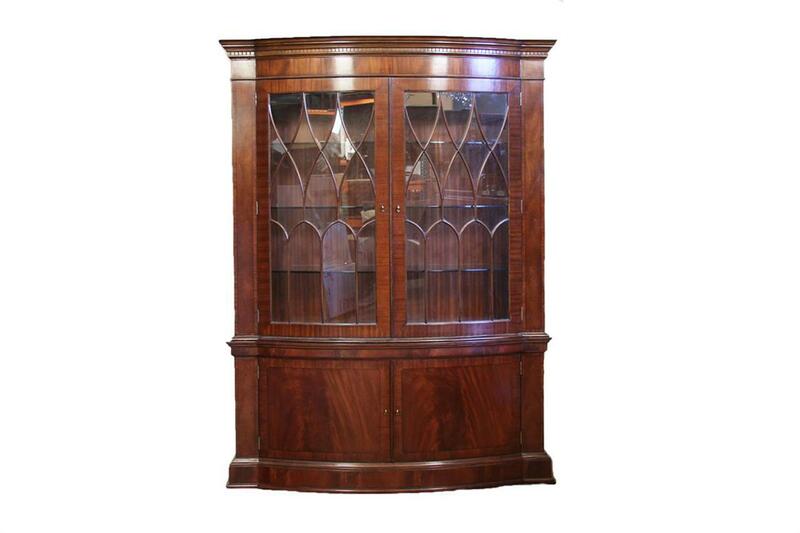 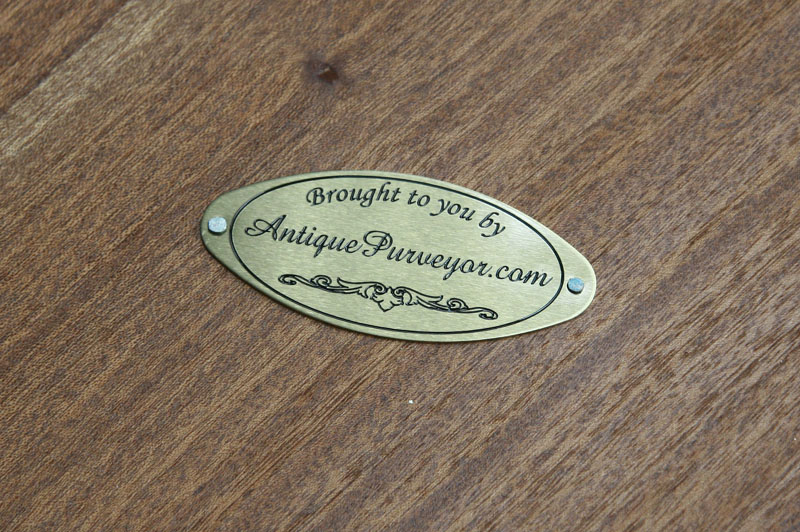 This is a new antique reproduction which was manufactured to English standards. 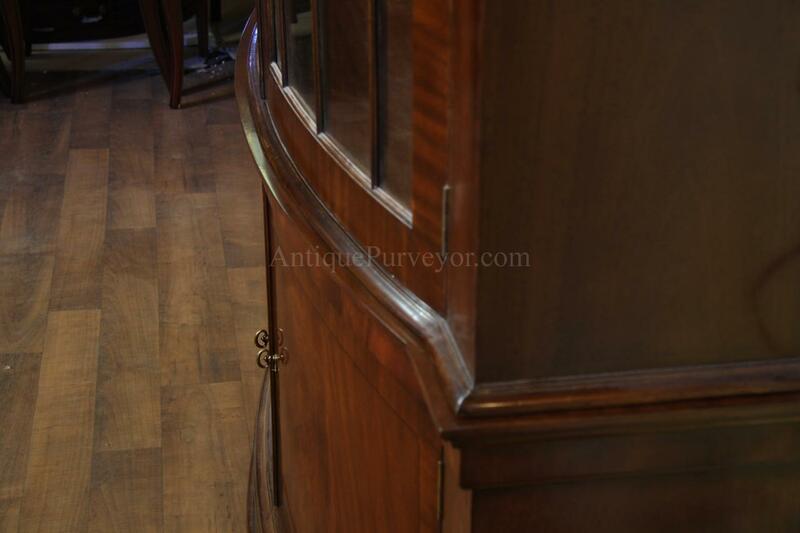 The bottom two doors are curved to match the bow front window display. 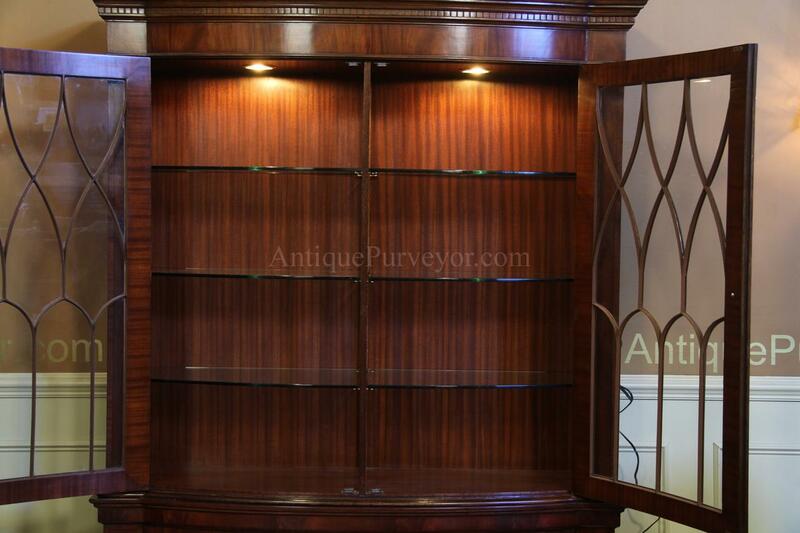 Bottom storage has a shelf. 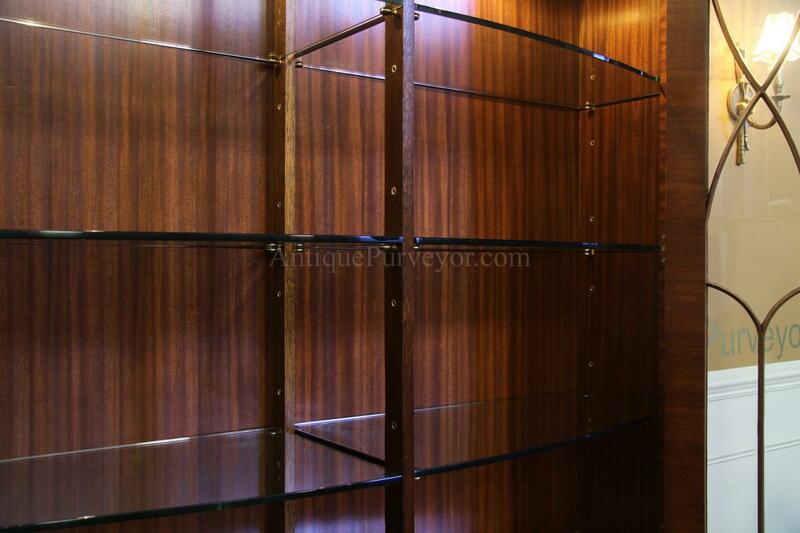 This display case has glass shelves which let the light pass through with little interferance. 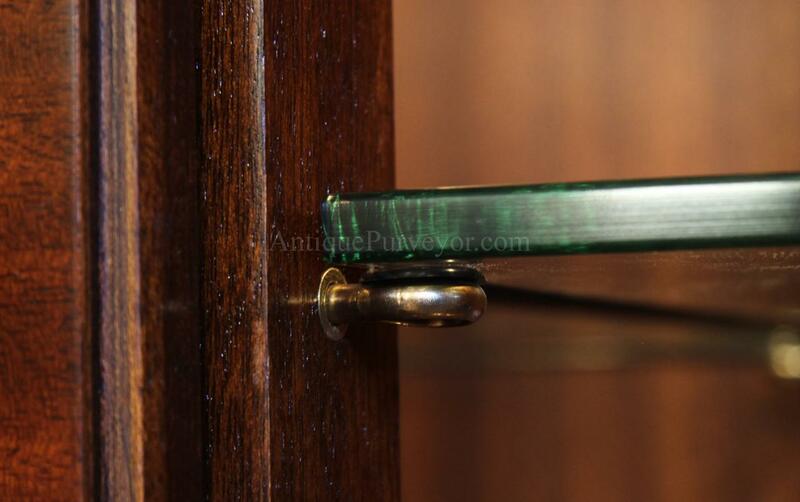 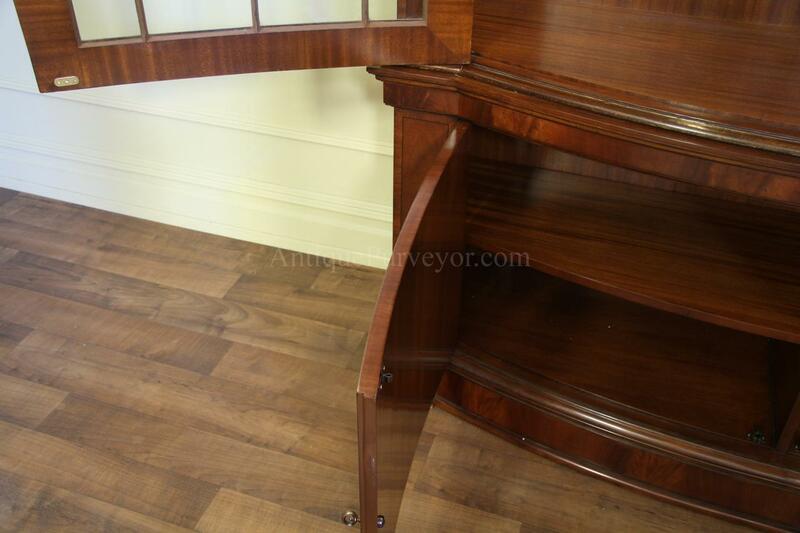 Glass shelves can be used in multiple positions and they are held in place by beautiful padded brass pins. 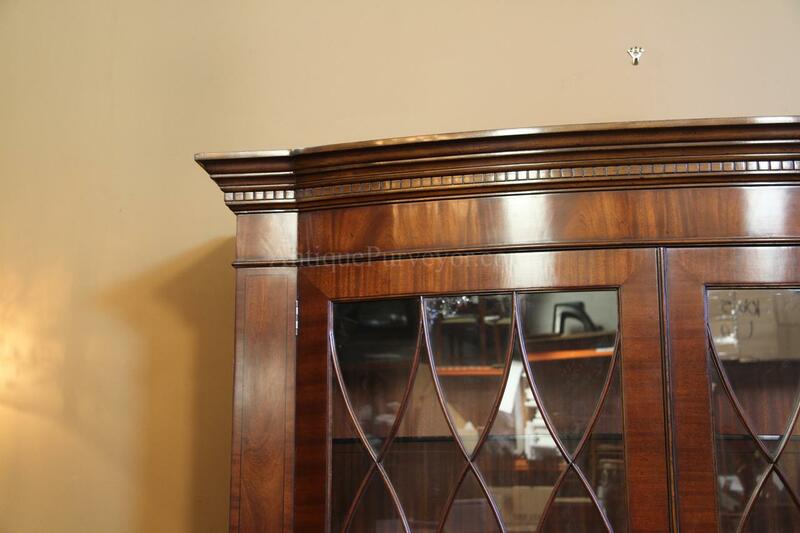 Crown is decorated with a simple dental molding. 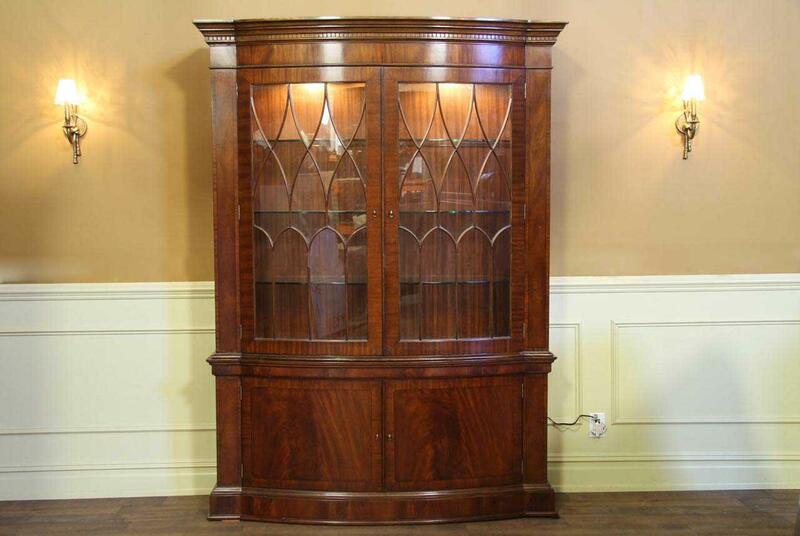 A flame mahogany decorated formal china cabinet on plynth style base. 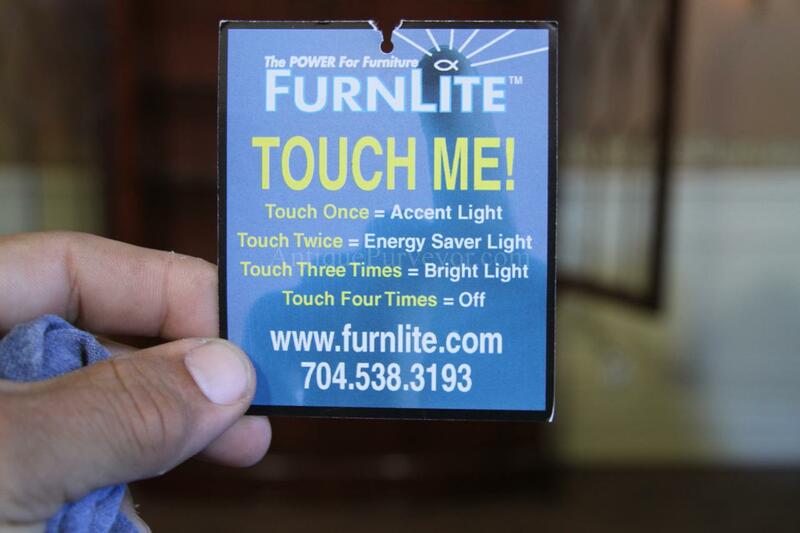 Measurements: Height: 88 in., Width: 67 in., Depth: 17 in.